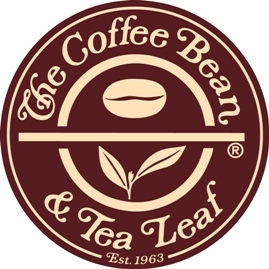 The Coffee Bean & Tea Leaf (CBTL) has just opened its newest branch at One Archer's Place at Taft Avenue near De La Salle University (DLSU) on January 30, 2012, Monday. Coffee drinking becomes even more exciting at the greener pastures of learning in Manila. One Archer’s Place is located at Fidel Reyes St. near DLSU. The new CBTL shop is now ready to serve its first customers with their full selection of internationally-acclaimed signature blends and gourmet treats and dishes. “Manila is a good market for us. A place that’s right in the center of a burgeoning coffee culture in the country, this new branch will not only compliment the busy lifestyle of people in the area, it will also make it easier for more to enjoy the specialty drinks that our brand is known for," shares Walden Chu, President of The Coffee Bean & Tea Leaf. In line with its debut and coinciding with DLSU’s 100th year celebration, the CBTL branch in One Archer’s Place is holding a special promotion. 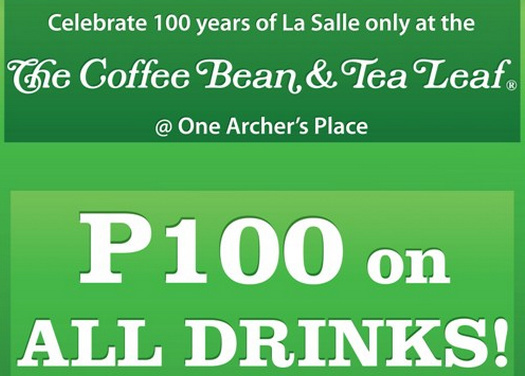 Customers can purchase any of their favorite drinks for only Php 100. Avail of this promo from January 30-February 5, 2012 at 12:30-1:30pm only.